In the box: Lacoste Watch, Manual/Warranty Booklet, Tags, Seals, Box and Box Cover. 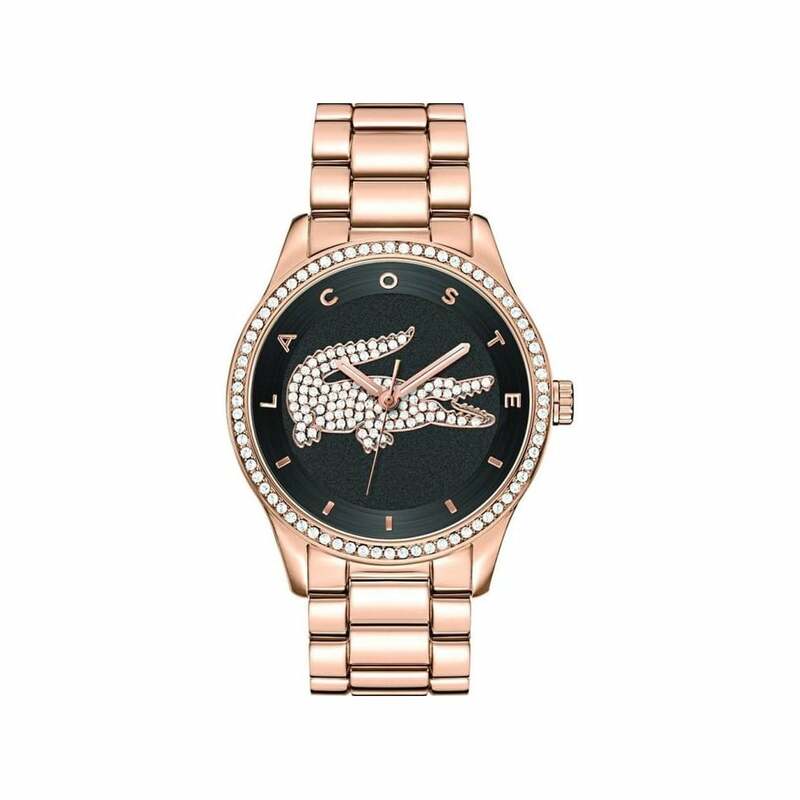 This Lacoste 2000871 Victoria watch has a PVD gold plated case and is powered by a quartz movement. It is fastened with a rose metal bracelet and has a black dial.